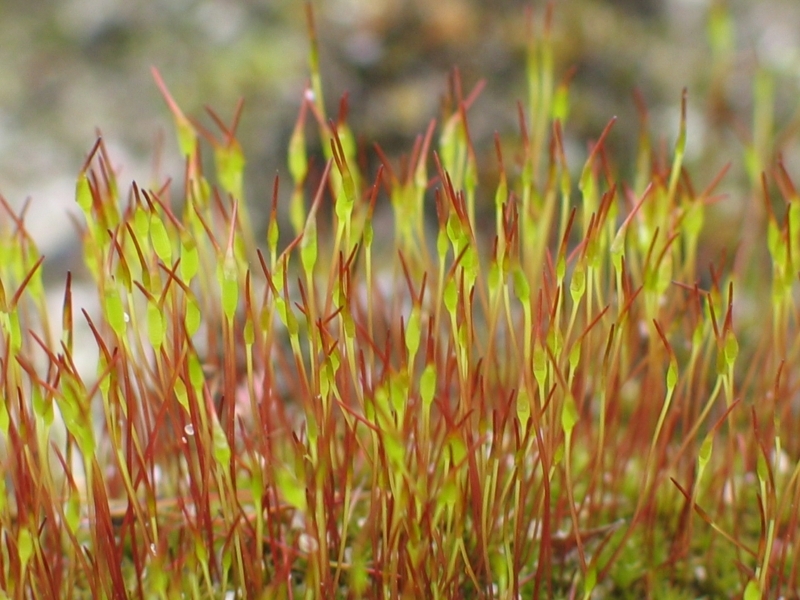 Mosses are small, soft plants that are typically 1–10 cm (0.4-4 in) tall, though some species are much larger. They commonly grow close together in clumps or mats in damp or shady locations. They do not have flowers or seeds, and their simple leaves cover the thin wiry stems. At certain times mosses produce spore capsules which may appear as beak-like capsules borne aloft on thin stalks. 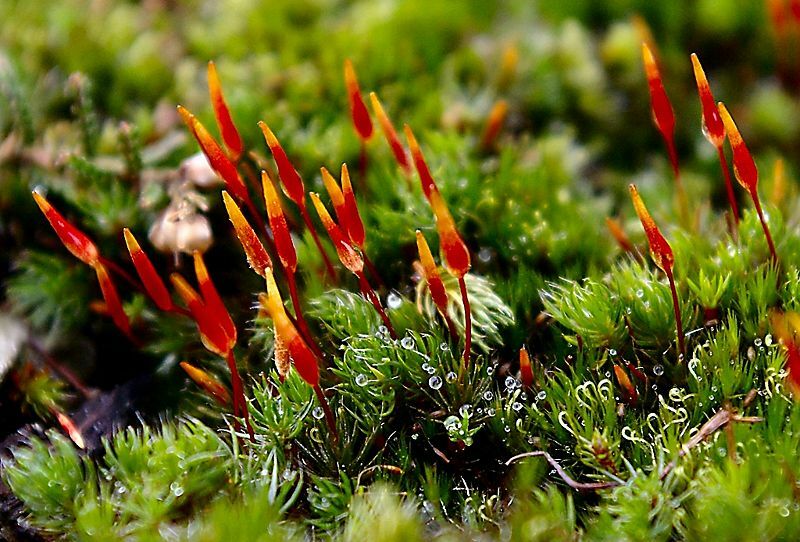 There are approximately 10,000 species of moss classified in the Bryophyta.The division Bryophyta formerly included not only mosses, but also liverworts and hornworts. These other two groups of bryophytes now are often placed in their own divisions.